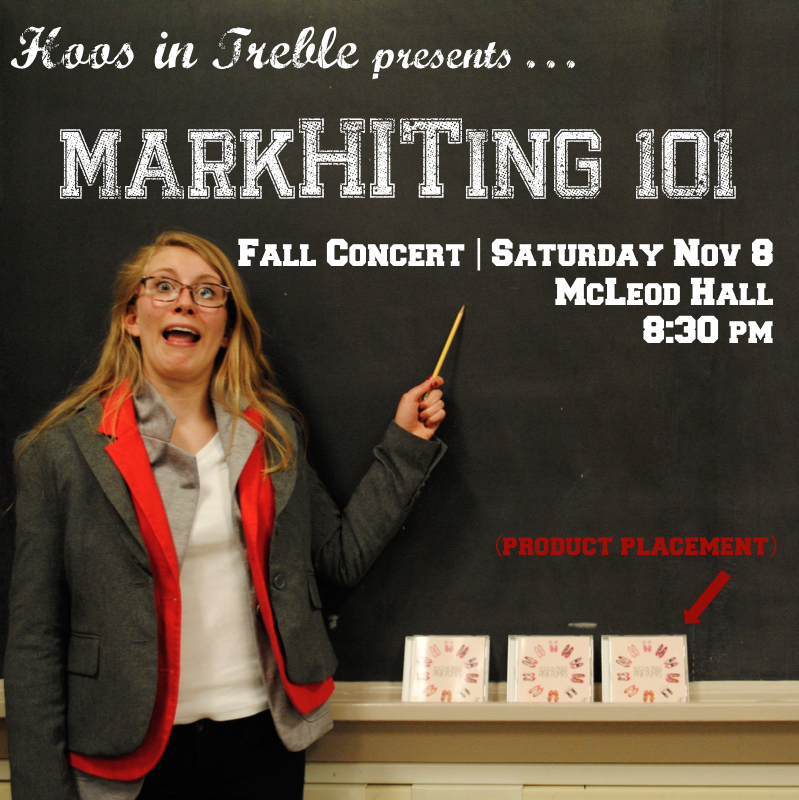 MarkHITing 101 was the theme for our Fall 2014 concert. In the photos below, each HIT girl is demonstrating their understanding of what marketing professionals do - you will see that our ideas of this profession are varied...we make no promises of professionalism. 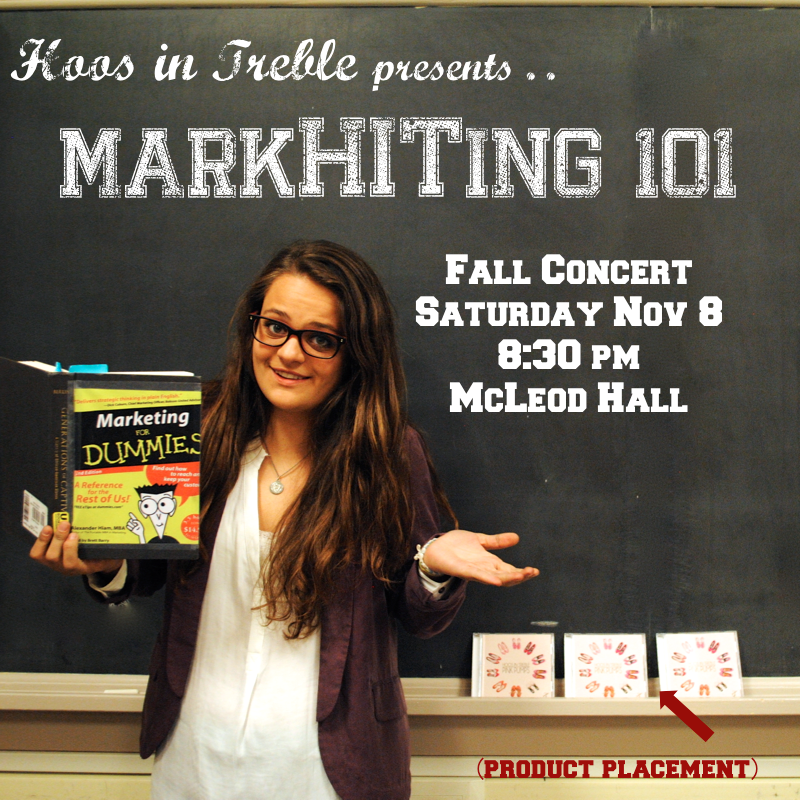 Also, keep scrolling down to view the MarkHITing 101 video that was featured at our performance!